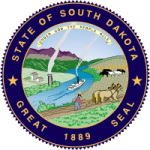 With the online calculator, parents in South Dakota can estimate how much they will receive for child support from the paying parent. Although it is an estimate, it offers the best figure for both the parent receiving and the one paying for child support. It is easy to use as all instructions and guidelines for determining child support are included to help you come up with the best estimate. Step 2: Read the disclaimer and click continue as shown below. Step 3: Fill in with the required information and then click calculate to compute the child support obligation.